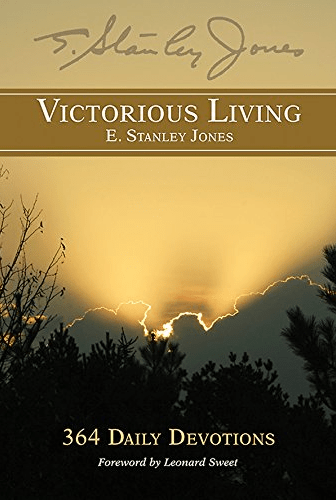 E. Stanley Jones wrote Victorious Living in 1936 to respond to inquirers who had come to him morally and spiritually defeated. They were inwardly beaten, thus outwardly ineffective. The book responds with individual and social emphases, and goes step by step, as if on a ladder, to work through the pressing questions of the inner life and how it extends outward: How do we achieve a life evidencing the peace that passes understanding, even in ourselves, let alone passing it on? What makes the difference between ordinary living and extraordinary, victorious living? How can we build a new inner strength that shines through in our outward character and relationships? Our own efforts to rise above are ineffective but by applying the power of God’s Word we can close the gap between our reality and our beliefs. Each daily reading offers essential truths and eternal principles: keys to victorious living in the circumstances we encounter every day! Now this vibrant work is making a long deserved comeback, with a new foreword by Leonard Sweet.